An instrument must be properly calibrated, prior to use, in order to function properly in the field. Calibration is the process of adjusting the instrument readout so that it corresponds to an actual concentration. 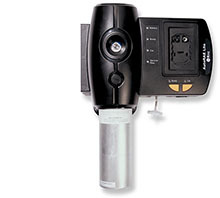 Calibration involves checking the instrument results with a known concentration of a gas or vapor to see that the instrument gives the proper response. Fluoropolymer film was developed specially for the air sampling market. 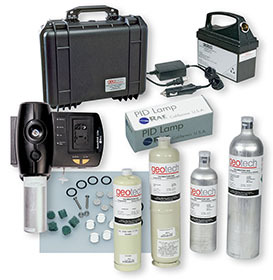 Our sampling bags meet or exceed many of the characteristics required for gas sampling. The AutoRAE Lite high-speed, low-operating-cost bump test and calibration station stores data in a text file that can be opened by any spreadsheet software or text editor. The AutoRAE 2 Automatic Test and Calibration System for RAE Systems portable monitors makes instrument testing and calibration compliance as easy as pressing a button. Simply cradle the monitor, and the system takes care of calibration, testing, and battery recharging. The AutoRAE 2 system is flexible and modular, and can be configured to efficiently meet your calibration and records management requirements. An AutoRAE 2 system can be as simple as a single cradle deployed in stand- alone mode to calibrate one instrument at a time, or as powerful as a networked, controller-based system sup- porting 10 instrument cradles and 5 distinct calibration gases or gas mixtures. The AutoRAE Lite high-speed, low-operating-cost bump test and calibration station stores data in a text file that can be opened by any spreadsheet or editor. 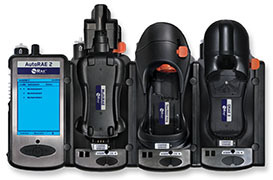 Providing the lowest cost of ownership, the AutoRAE Lite for ToxiRAE 3 allows you to bump test 700 monitors on one set of batteries.